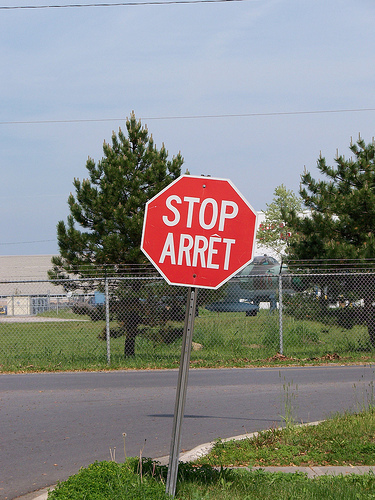 As just a short note following up on my comments on Montreal’s strange “Stop” signs, another thing to note of course is the linguistic variation. 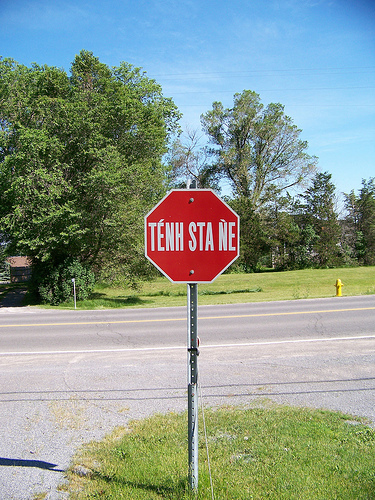 I’ve just returned from the Westmount region of the city, where the signs are in English (as in the one posted below, which, as Citynoise.org notes, seems a bit odd since the English bit on the street signs has been blacked out). 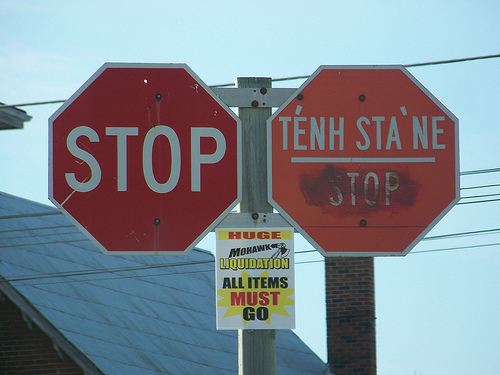 But one also seems to find bilingual English/French, as well as signs in Mohawk, Inuktitut, and Kahnawake — there may be more. 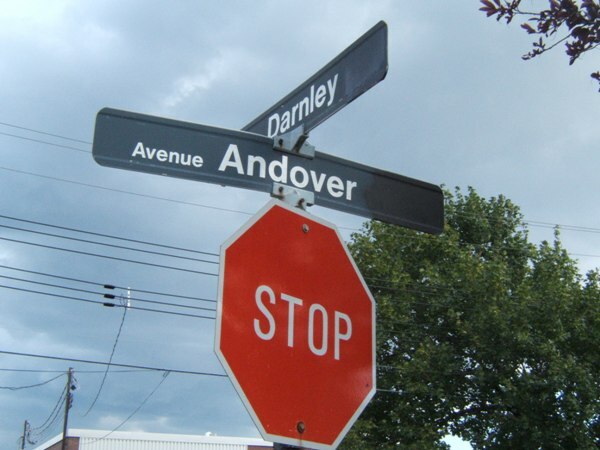 In any case, an interesting reminder of how culture trickles into the standardized regime of traffic safety. 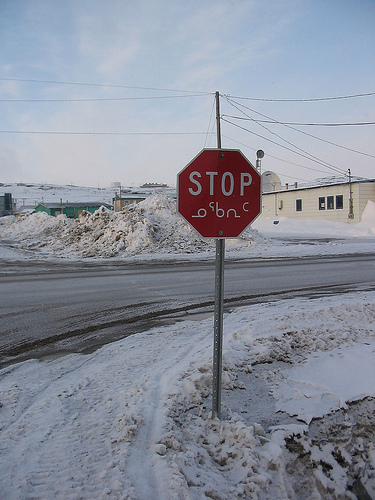 Comments Off on So Many Ways to Stop in Canada. Click here to leave a comment.